Robot Assisted Spine Surgery, A developing Technology. The technology that allows spine surgeons to perform often complex procedures has grown rapidly in the last two decades. Some of these technologies including minimally invasive endoscopic and laser spine surgery has been joined by robotic assisted spine surgery in the last few years. These technologies have been developed with the potential to offer patient better outcomes and safer operations. To date, many of these technologies has not been proven to be any more effective than traditional approaches. Some surgeons will go as far as to say that these offer more in terms of marketing hype than actual clinical benefit. 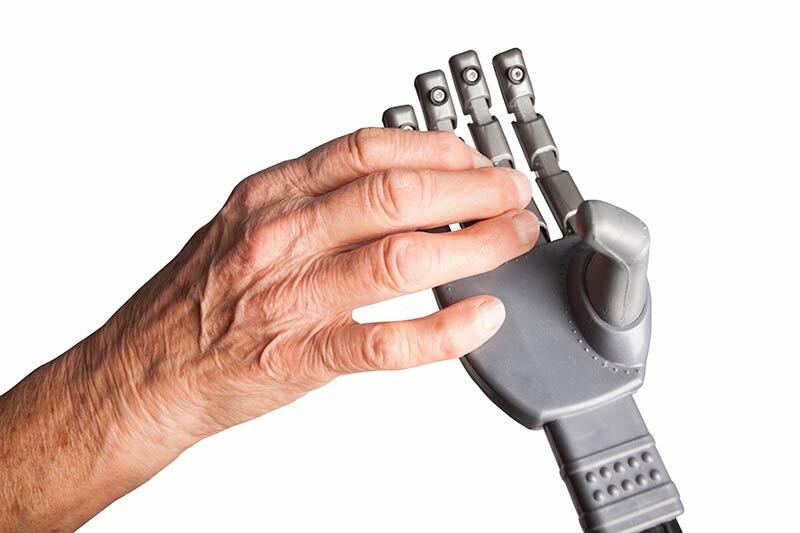 Robotic assisted surgery continues to evolve. Robotic surgery has been used in the areas of prostate and gynecologic surgery since the early 2000s. Potential benefits for use of robotic assisted surgery include a shorter hospital stay, less blood loss, few complications, a faster recovery, and less scarring. To date, over 1.5 million surgical cases have been performed worldwide using the da Vinci robot, across several different surgical specialties. The da Vinci robot was used for the first time to perform a successful lumbar fusion in 2012. Robotic surgery utilizes a magnified 3D vision system and instruments that offer enhanced visualization, precision, and greater control than human hands. The primary use of robotic assisted spine surgery has been for pedicle screw placement so far. To some, the use of robot assisted surgery is about expanding the limits of capabilities to develop newer techniques while other surgeons embrace this type of technology to improve upon outcomes and clinical results for procedures already being done. A prospective, randomized control trial published in 2012 (Ringel et al), comparing robot assisted pedicle screw placement to conventional fluoroscopic guided placement showed more accurate screw placement in the conventional group, 93% to 85%. These results have slightly improved over the years. The latest studies now have traditional pedicle screw placement with fluoroscopy either the same as robotic placement or slightly less accurate. In Neurosurgical Focus (2017), a study by Molliqaj G et al, 169 patients underwent placement of pedicle screws between 2007-2015. 98 patients were robot assisted/ 71 were done with a surgeon using fluoroscopic assistance. The proportion of non-misplaced screws (corresponding to Gertzbein-Robbins Grades A and B) was higher in the robot-assisted group (93.4%) than the freehand fluoroscopy group (88.9%) (p = 0.005). CONCLUSIONS; The authors’ retrospective case review found that robot-guided pedicle screw placement is a safe, useful, and potentially more accurate alternative to the conventional freehand technique for the placement of thoracolumbar spinal instrumentation owed more accuracy by robot placement (83.6%) compared to conventional fluoroscopy (79.6%). In summary, robotic assisted spine surgery is growing rapidly and becoming more common. It offers hope for improving surgical outcomes. The full capabilities of this technology are yet to be determined, along with defining what specific conditions can be treated and who the ideal candidate is. More data gradually becomes available, to evaluate whether the push for robotic assisted spine surgery is worth the high initial cost by reducing the rates of revision surgery.